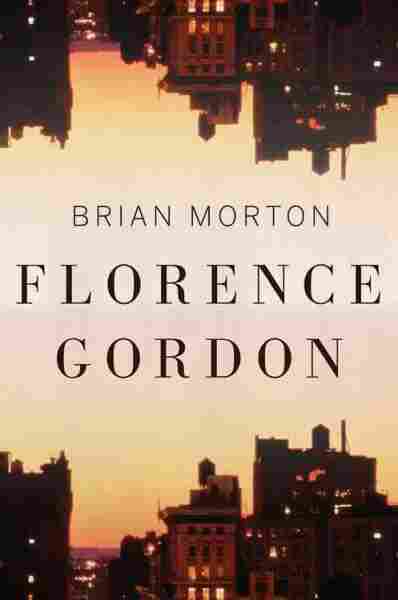 Book Review: 'Florence Gordon,' By Brian Morton | Brian Morton's Florence Gordon is about the relationship between a tough, 75-year-old feminist icon and her granddaughter. It's self-aware, funny and full of characters that are entirely believable. What a treat it is to read Brian Morton's latest novel, populated with the prickly, civic-minded liberal intellectuals we've come to expect from him. Florence Gordon, his fifth book, like Starting Out in the Evening, his best known, is set on Manhattan's Upper West Side and concerns a feisty older writer and a much younger admirer and would-be mentee. Both novels not only feature curmudgeonly characters who insist on living on their own terms but explore questions about what constitutes a successful life. This time around, Morton keeps us happily turning pages through 111 punchy chapters, some shorter than a full page. His opening pulls us right in: "Florence Gordon was trying to write a memoir, but she had two strikes against her: she was old and she was an intellectual. And who on earth, she sometimes wondered, would want to read a book about an old intellectual?" That last comment, self-aware and humorous, is classic Morton. Florence Gordon is a wonderful character, well-deserving of her titular status. She's a 75-year-old feminist firebrand who is independent-minded to a fault. "She was also, in the opinion of many who knew her, even in the opinion of many who loved her, a complete pain the neck," Morton writes. Here's the kind of person Florence is: When she sees a man cut the line at her local pharmacy, she chastises him roundly — even though she's not in line herself. "What's it to you?" he asks her. She snaps, "You don't throw your trash on the street, you don't serve yourself first, and you don't cut in line. It's called civilization." When the younger woman on whose behalf Florence has intervened thanks her, Florence has a sharp lesson for her, too: "You should stand up for yourself." Even Florence wonders whether she's just another "strident" and "shrill" feminist. She doesn't think so, but she's certainly "a gloriously difficult woman," as her best friend notes. She's blunt and goal-directed, "always outraged, always indignant about something she'd read or heard or seen. She's also determined to guard her time — especially after a surprise rave on the cover of the Sunday New York Times Book Review declares her "a national treasure" and reignites the "little flare of literary glory" she last experienced in the 1970s. She has no compunctions about dodging her son and his family, visiting from Seattle for several months. A source of unwelcome distraction that's not so easily ignored is a draggy left foot that necessitates a series of increasingly troubling medical tests. With such a strong protagonist, it's hard for other characters to hold the stage, but Morton captures the undulating family dynamics that ripple out from the rock at its center. Florence's son, Daniel, who abandoned his parents' world of intellectual subtexts and literary one-upmanship for a surprising career choice (which I'll leave to readers to discover), has cashed in years of vacation time to follow his wife, Janine, a psychologist, back to New York, where she's on a fellowship at Columbia studying "the complicated relationship between our intentions and our impulses." The joke is that Janine becomes torn up about her own intentions and impulses because she's smitten by the program's director. The one character who stands up to Florence — in every way — is her bright 19-year-old granddaughter, Emily, who's taking a semester off from college. She offers herself as Florence's research assistant, hoping to crack the old battle-ax's armor. Emily mitigates her frustration by studying her grandmother and picking up pointers in self-assertion. Their animated sparring is another thing to relish in this paean to continuing education — at every age. "That's one good thing about you," Emily caps a rare argument in which her grandmother backs down. "You're old but you're still learning. That's what I tell your detractors." Morton doesn't insult us with cheesy, sentimental breakthroughs, but he does offer this comfort — characters who are so believable you expect to run into them ordering from the deli counter at Zabar's.